Create consistent, high-quality platelet products, making your lab even more efficient and better able to meet the challenges every component lab faces. The TACSI system automates and integrates the manual steps of Buffy Coat processing, up to six pooled Buffy Coats at a time. 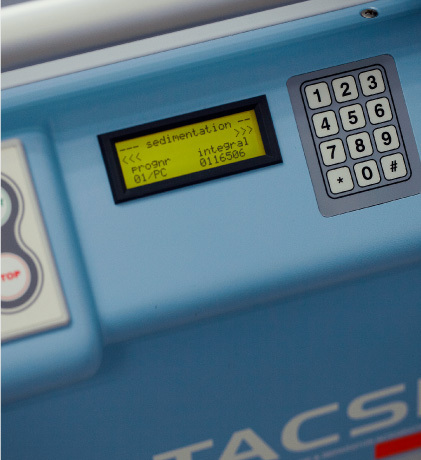 With the ability to preload bags outside of the device, the TACSI system can transform your lab into a highly productive environment. 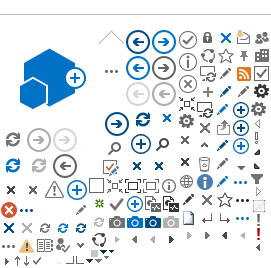 Will automation help you drive efficiency? Contact us today. 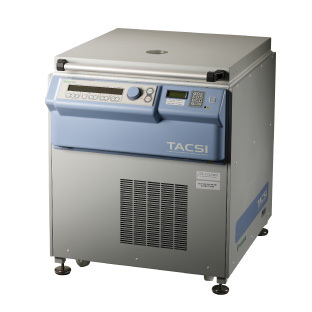 How Could You Benefit From Using the TACSI System With TOMEs? 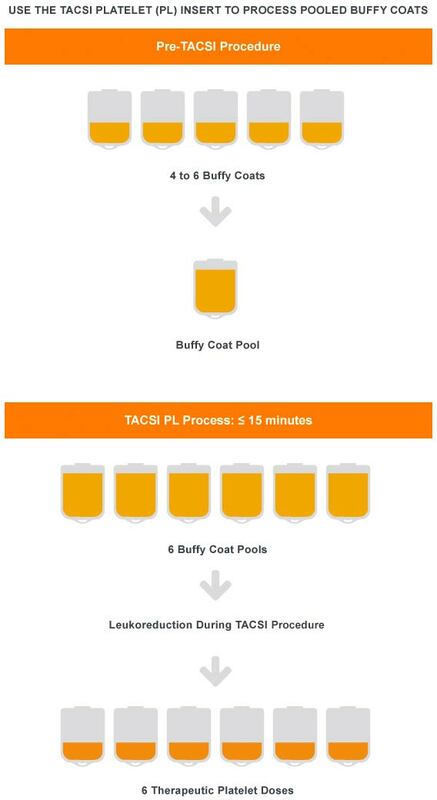 The TACSI system automates and integrates the manual steps of processing buffy coat pools into platelet concentrates, six pools at a time. 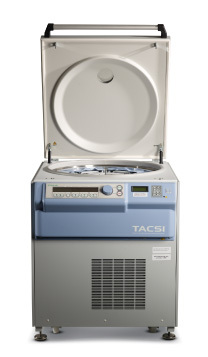 The TACSI system, with integrated centrifugation, separation technology and dedicated sensors, enables consistent separation of pooled Buffy Coats into quality platelet concentrates. A specially designed insert allows for pre-mounting of TACSI PL kits, which decreases processing time. Up to six pooled Buffy Coat units are mounted in the PL inserts. Centrifugation begins, and a vertical layer of platelets and residual Buffy Coat is created; optical sensors detect the interface to enable maximum platelet recovery. The integrated leukoreduction filter is primed, then the platelets are automatically leukoreduced and transferred into the final platelet bag. 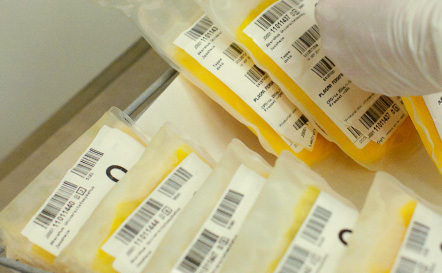 At the end of the run, platelet concentrates are removed from the device and ready for storage. TACSI, TACSI PL KIT and TOMEs are not cleared for sale in the U.S. They are available in select markets.